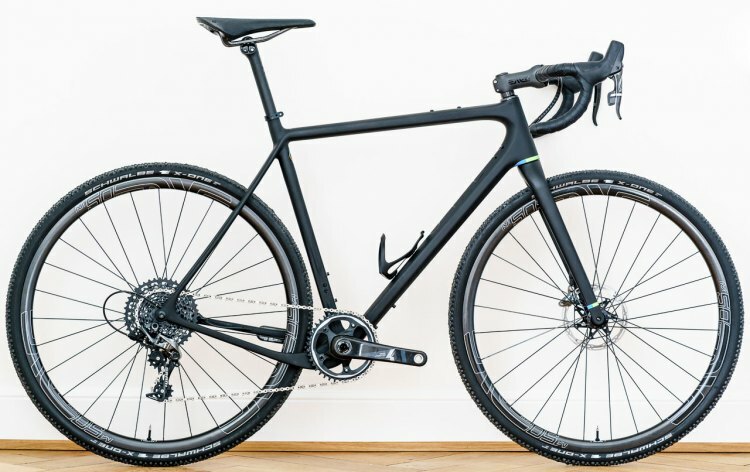 We’re probably doing all of bike tech an injustice by cramming it all into one Year in Review installment, but internal debates had to eventually be settled and someone has to lose. Without further ado, let’s talk tech trends. 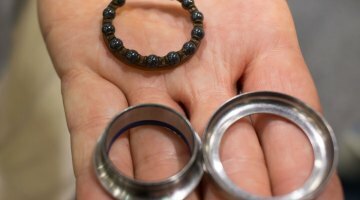 Here are the ones that we think have significance for real-world cyclists and racers. Adding a smaller-than-original-spec wheel to a drop bar offroad bike is nothing new. 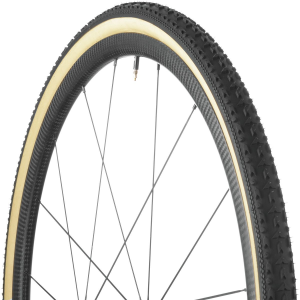 Many oldtimers started racing cyclocross doing just this, grabbing an old touring frame made for 27″ wheels and throwing in 700c wheels for more mud clearance and better tire clearance. All you’d need to do is slide down the brake pads on the cantilevers or center-pull brake, and you’d be off to the races. 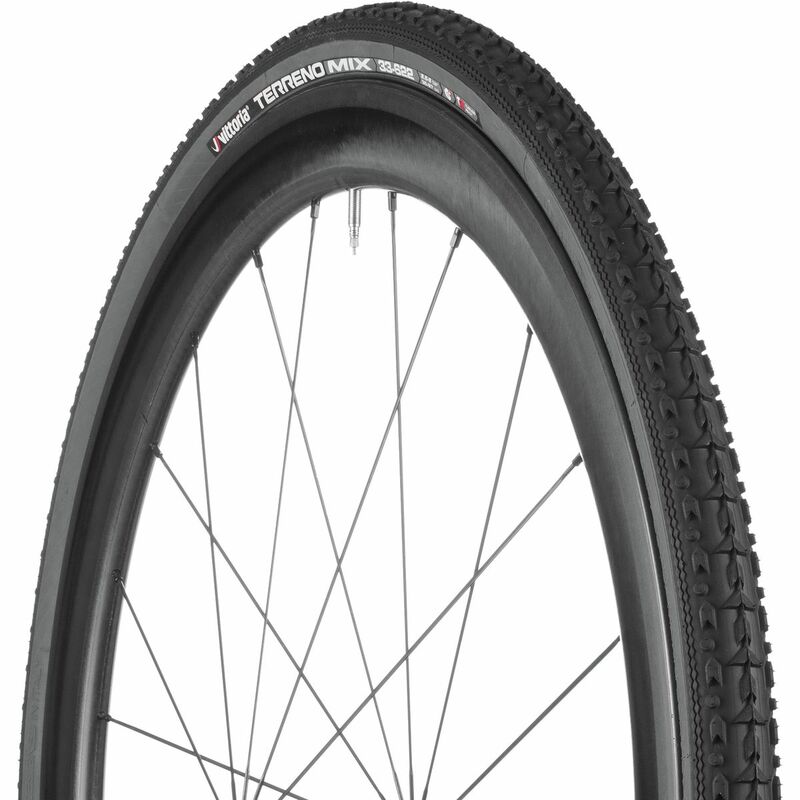 Of course, back then, we’d be limited by the rim brakes, but now, with disc brakes dominating cyclocross/gravel/adventure bikes, the wheel and tire size options for a given bike have grown. That’s got us, and many cyclists, pumped up. 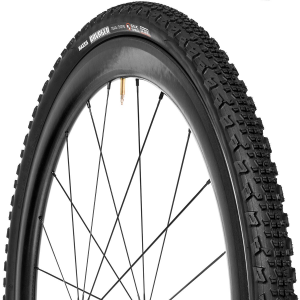 Sure, assuming the hubs and rotors are the same size and configuration, you could add any wheel size to a disc brake bike, even 20″ wheels if you like your cranks hitting the ground, but many bikes that aren’t designed to take advantage of multiple wheel sizes don’t have the built-in tire clearance to accept a smaller diameter, higher-volume tire, especially down by the chainstays. Thankfully there is an ever-growing list of brands that have embraced the possibilities. Gerard Vroomen’s companies might be highest-profile evangelists, with Open Cycles U.P. and U.P.P.E.R. 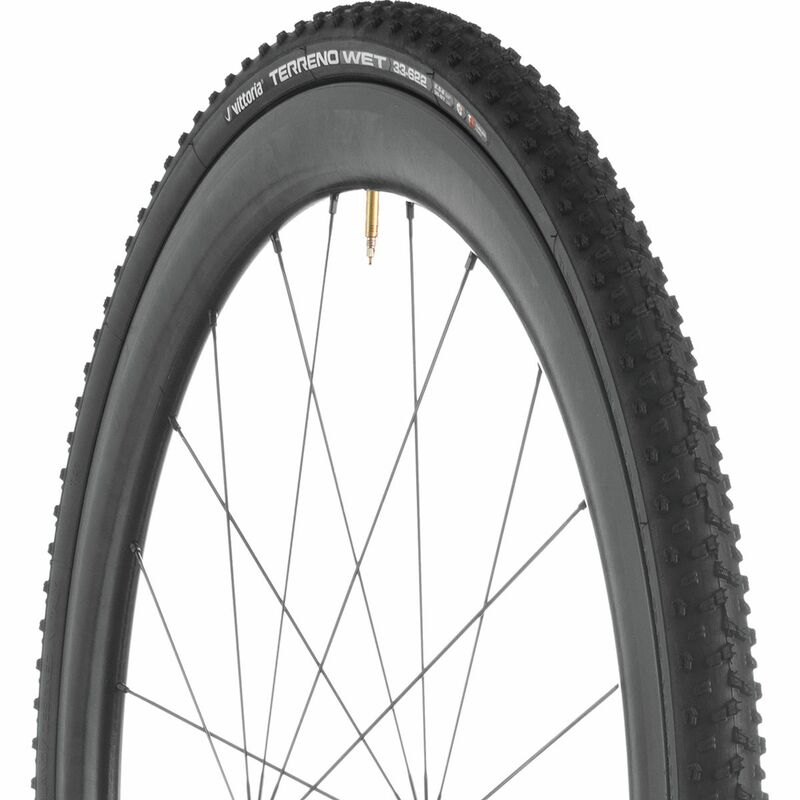 and the 3T Exploro touting 650b and 700c wheel options with their iconic dropped right chainstay, but they’re certainly not the only ones. Van Dessel’s A.D.D., Otso’s Warakin, Bombtrack’s Hook EXT, the Rondo Ruut CF1, the Kona Rove LTD and the new Ibis Hakka MX we’re testing now are all rolling with this new trend. While we can’t comment as to whether bikes designed around several wheel diameters will add to or improve packed-to-the-gills garages and N+1 obsessions, we can say they’re a whole lot of fun. 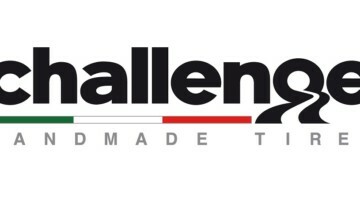 Facing a rough gravel race, rooty singletrack or a dry, bumpy, gnarly cyclocross race? 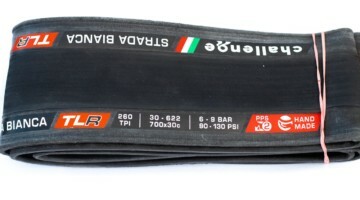 Opt for 2+ inch 27.5/650b tires, and float past your competitors limited by 33mm cotton or nylon. Expecting smoother faster terrain? 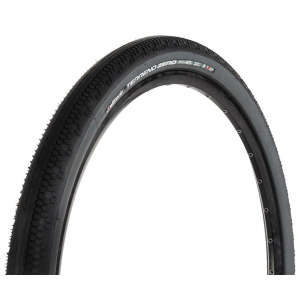 Throw in 700c wheels with slicks, cyclocross tires or 40mm gravel tires. 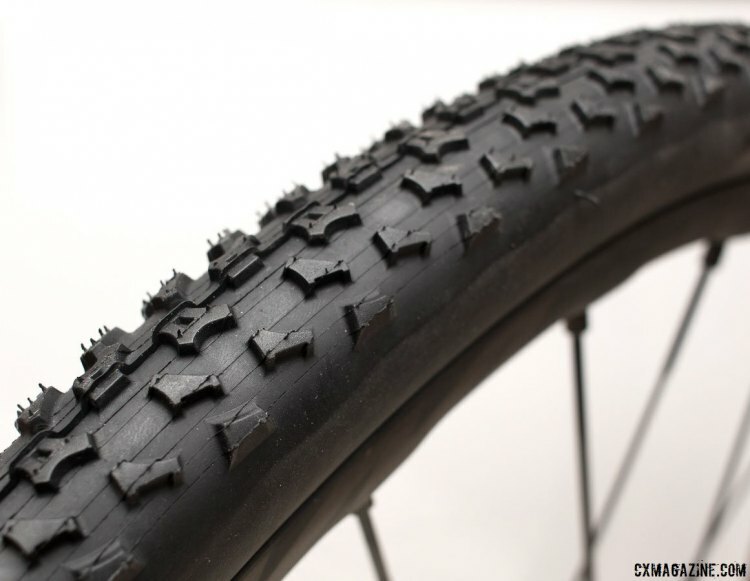 Tread doesn’t have to be your only race or ride-day decision. 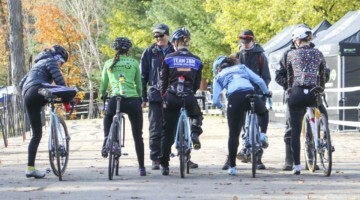 We know that most readers (and 99% of retail-paying customers) never line up to contest UCI points or for a UCI tire check and have been a broken record begging manufacturers to serve the world’s largest cyclocross racer population in offering larger tire sizes. 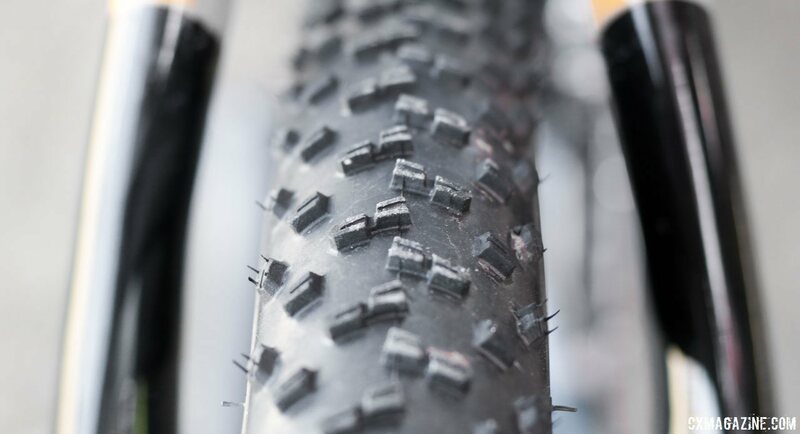 Sure, for a few years now, we’ve enjoyed a good selection of 38mm or 40mm tires aimed at gravel, and even recognized this shift two years ago, but many of us race and ride year ’round on terrain that requires more versatile treads, and now we’ve got plenty of options. 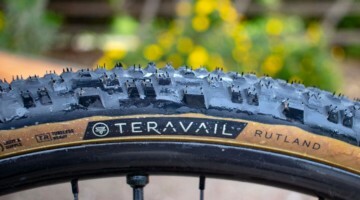 Thankfully, our shouts from atop of our mud-covered soapbox weren’t falling on deaf ears, and are now finally ringing true in the form of a good selection of higher-volume, versatile treads that locked onto our rims and remained on them year ’round. Ritchey and WTB have led the way in turning a blind eye to the UCI. Ritchey has grown its high-volume cyclocross selection with the 35mm Shield, the grippy 38mm Megabite and fast-rolling 40mm Speedmax WCS tubeless tires, while WTB pumps up the options with the 35mm Cross Boss, hardpack-oriented 37mm and 45mm Ridler and big 42mm Resolute. 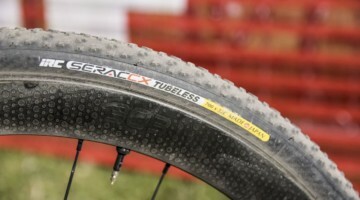 Vittoria’s new high-tech Terreno line now boasts three 40mm tubeless treads, Specialized’s revamp of its cyclocross line has expanded into 38mm options of the Terra and Tracer, Kenda counters with its fast-rolling 36mm Kommando-X, Maxxis offers a knobby 40mm Ravager and Panaracer rolled out its 35mm Regacross tire and non-tubeless 38mm Comet. 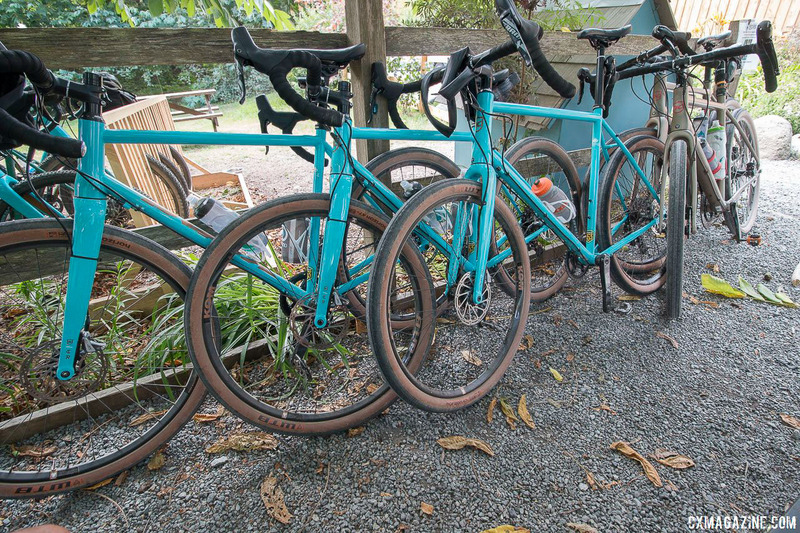 Sometimes finding a bigger tire for your drop bar fun requires thinking creatively and digging deep into other brands’ tire lineups. Step outside the road/’cross line and you’ll find a few hidden options like the durable, knobby 38mm Bontrager LT2 TLR tubeless “hybrid” tire. 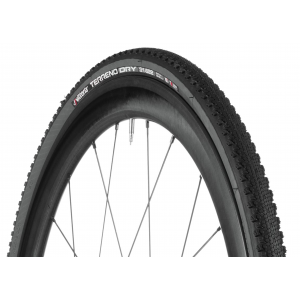 If you don’t need tubeless, think “trekking” when it comes to Continental and you’ll find the 42mm AT Ride (formerly Cross Ride) and 40mm Duro Cypher. If you’ve got the clearance, you can keep upsizing and roll with the 42mm Bruce Gordon Rock ‘n Road, staff-favorite Soma Cazadero, and 45mm Panaracer Fire Cross. 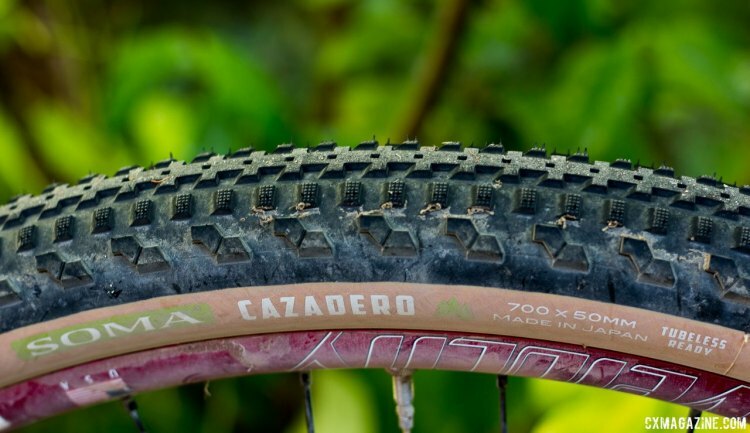 The Cazadero now even comes in a 50mm option, but that’s entering mountain bike-width territory, and we gotta draw the line somewhere. 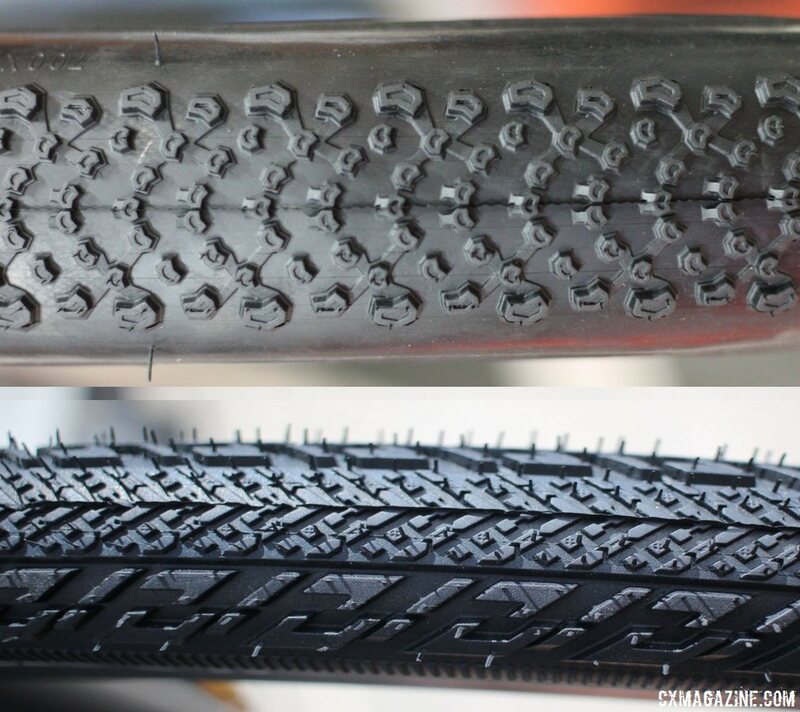 It seems like each month a few new options high-volume cyclocross-worthy tires arrive. We can’t keep up and couldn’t be happier with all the options. 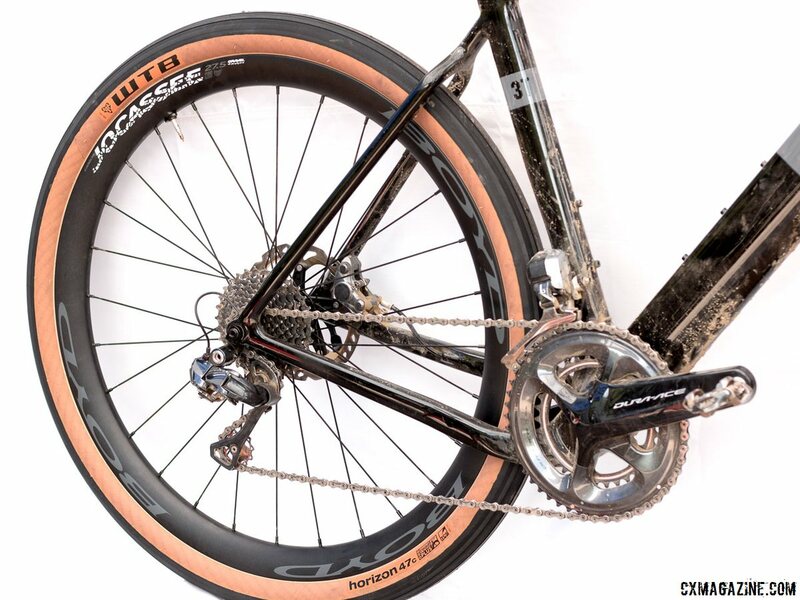 Why would you buy Dura Ace and then ride it through mud? Even if money were no object it should still be a crime.